Dr. Peter U. Gehrke completed his graduate studies at the University of Berlin, School of Dental Medicine in Germany in 1991, where he received his approbation as dentist and his degree as Dr. med. dent. in 1992. Dr. Gehrke pursued postgraduate specialties in Prosthodontics and Implant Dentistry in Germany and was awarded the Schering Pharmaceutical Industries Scholarship. He graduated from New York University College of Dentistry with international postdoctoral training in the Division of Restorative and Prosthodontic Sciences Department of Implant Dentistry. Prior to becoming an associate of a private practice, limited to implant dentistry and oral surgery, he worked as international marketing manager and senior manager medical marketing in the implant industry. Dr. Gehrke has practiced in Germany and the U.S.A. and serves as a part-time member of the faculty at the Steinbeis University, Berlin, in the program “Master of Science in Oral Implantology and Periodontology”. He is co-author of the textbook „Fundamentals of Esthetic Implant Dentistry“ (Blackwell Publishing), has authored innumerable articles, and lectures nationally and internationally on implant prosthodontics with a focus on CAD/CAM restorative concepts as well as accelerated and esthetic protocols. Dr. Gehrke is on the Editorial Board of JDI, The Journal of Dental Implantology and an active member of the Academy of Osseointegration, the European Association for Osseointegration, the International College of Prosthodontics, and the German Society of Implantology (DGI). 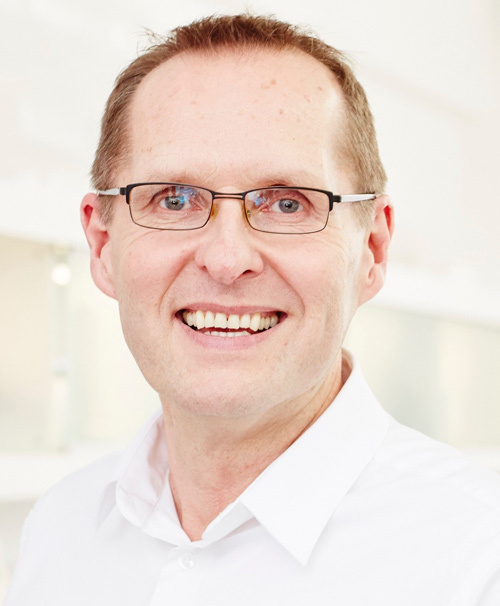 Since 2014 he serves on the German board of PEERS (Platform for the Exchange of Experience, Education, Research and Science, Dentsply Implants).